It provides flexibility for our VM environments. We use it to transport data between on-premise systems and the cloud. AWS is the biggest and most common use case for integration with ONTAP. We have a number of systems that we run on-premise and have not been moved to AWS for various reasons. ONTAP allows us to manage our portfolio across two domains. It manages our environments with a single purview of data management, especially as each variant of ONTAP uses identical metadata and file system formats. Then, data can be universally managed and manipulated throughout the data fabric. SnapMirror helps mirror metadata and data volumes between endpoints in a data fabric. The navigation on some of the configuration parameters is a bit cumbersome, making the learning curve on functions somewhat steep. I would like them to make upgrading simpler. I would like it if they could offer a simpler upgrade guide which you can generate through their website, because their current version is full of dozens of complicated CLI commands. It is very stable and versatile, but you need to have an advanced degree to administer or monitor it. Since it has seamless integration with AWS, scalability is not an issue. NetApp ONTAP and AWS work really well together. ONTAP was designed to run within Amazon Elastic Compute Cloud instances. Once Cloud Volumes ONTAP is installed, Amazon Elastic Block Store (EBS) volumes are assigned to the Cloud Volumes ONTAP EC2 compute instance to create the equivalent of a Data ONTAP storage array. Purchasing this solution through the AWS Marketplace was simple, which was why our organization chose to go through it. The AWS consumer-based pricing model makes it easy for developers to use their credit cards to spin up virtual servers immediately. Compared to other storage vendors, NetApp, is not always able to compete with their pricing. Yet, we acknowledge the ease of use ONTAP brings with the AWS integration. We use it for file services, both CIFS and NFS. The university didn't have a centralized file service before we moved to NetApp. Now, departments can share information across 24,000 students, across 10,000 faculty and staff. They can share data without doing it through email, which was the old way. It has definitely helped reduce the overall costs of storage. We actually started out with the IBM M-Series seven years back. We switched to NetApp. The same hardware from NetApp is a better price than it was through IBM, and the support is better. So it has reduced our expenses through that path. And since it's so easily supported, we don't need a lot of people to support it, so our support costs are lower. We've had a lot of centralization going on. We have 13 schools, each of which had its own IT department. All those IT departments are now out of business because their work has been centralized into our department. Part of that was due to the economy changing and the school changing its business models, but that put our NetApp storage heavily into use. So it's hard to distinguish cause and effect. I can't specify the amount of space saved, but the deduplication and compression in ONTAP are very effective. We're probably getting 35 - 40 percent savings because of dedupe and compression. And because every volume we put out is a quoted Qtree on a volume, we don't have wasted whitespace. I'm billing for 800 terabytes every single month, that's running on one petabyte of rotating disk. So, it's very good at saving me space. I'm running with about 20 percent available disk, above and beyond what I'm billing. So it's pretty good at that. We're charging four cents per gigabyte per month and, unfortunately, I'm making money at that rate. We're not allowed to make a profit. I've been looking at reducing what we're charging our customers because it is so cost-effective. The ability for our users to restore data from the Snapshots is very valuable. I would like to see more cloud integration. 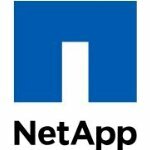 NetApp had nothing for cloud integration about three or four years back and then, all of a sudden, they got it going and got it going quickly, catching up with the competition. They've done a very good job. NetApp's website has seen phenomenal changes, so I greatly appreciate that. It's very stable. We've only had two outages with NetApp in seven years. One was a planned outage to fix a problem - that one was seven minutes long. The other was an unplanned failure, which caused us to be down for about five hours. Overall, we're still within our five- and six-nines of availability, so we're happy. It's completely scalable, as long as you're willing to buy the hardware. That's why we're looking at cloud for the future, so we can stop buying hardware and maybe use the cloud instead. It's excellent. The technical support has been very good. One thing I find very annoying is the new web interface, where it takes you through a little AI assistant, a little robot thing, to try to answer your question first. That thing is infuriating because we've already done the research, we know we need support. Fortunately, there's a link so you can get past that quickly. What I like about NetApp Support is that, generally, the person who takes your case is the one who works it to the end. There aren't a lot of handoffs or a lot of callbacks. We had always done block storage and we had a large IBM infrastructure, a large ESX infrastructure, physical servers. We knew that we needed a file service, so we set that up. It was really a first for our university. We switched from IBM to NetApp because we thought we'd get better support from NetApp, and we really have. IBM did a good job, but it was obvious that IBM and NetApp didn't always play well together. IBM was slower to put out patches and fixes compared to NetApp. When IBM was telling us to go to the NetApp site to find support, we figured we'd just switch to NetApp. The initial setup was quite straightforward because we knew what we were going to do with it and we hired Sirius on for a limited part of the job. We did most of it on our own. I know we're providing our service very cost-effectively, and it's selling faster than we expected. Money is coming in faster than we expected and, therefore, I need to drop what I'm charging per gigabyte per month so I don't make a profit, because we're not allowed to. So it's obviously successful. Our shortlist was really only NetApp. We looked at about a dozen other products, Hitachi and everything else, but NetApp really had the best product. Talk to any peer you can find about what products they looked at. We spoke to a dozen peer institutions - universities, colleges - about what they were doing for file services. We found a lot that were failing and a lot that were successful. The successful ones were mostly on NetApp. It's a very solid product. I've been using if for about seven years, and it's been mostly bulletproof. They have very good support and a very good quality hard drive. We use it for mission-critical applications but less than we used to. A lot of our mission-critical stuff is now going out to cloud. That's why I'm here at NetApp Insight 2018, to see how we can tie this into the cloud. Absolutely, all of the university's "crown jewels" used to be on NetApp storage. Now, some have gone out to AWS and we're integrating into AWS more and more. For example, Blackboard is no longer running off out NetApp storage. It's now running out of the cloud. The same is true for all the financial stuff, all the Workday and the like. They've moved off of NetApp and out to the cloud. In terms of machine-learning, AI, real-time analytics, and those kinds of ground-breaking apps for storage, that's more the research support side. We're not doing that. We're doing more of the general file systems support, for general-purpose use. I don't have any opinion about NVME over Fabrics, I haven't researched it yet. We bought our equipment through Sirius Computer Solutions, and we're very pleased with that. They care. We've had a couple different senior salespeople with them over the years and they've both been excellent. They're very committed to their customers. Limited scalability. Provides fast, persistent storage in the cloud. It just gives us the capability to get cloud resources. The primary use case for ONTAP Cloud is getting data into the cloud. * Development in the cloud. Just more scale out. It can only do two nodes. One SVM, which would be okay as long as I can scale easily. It needs to be matured with more capabilities. It's limited. We're trying to figure out better methods as we need to scale out more. We have built-in support. It is good. They are an onsite resource. We needed persistent storage in the cloud for platforms, and there's really not options right now in AWS or Azure. We also use Avere Gateways. That's pretty much it. I was the one who evaluated and approved the use of ONTAP Cloud. It functions and I think in the future it will be a reasonable method of getting NFS and the cloud. The most important factor that lead us to use OTC versus a native cloud storage solution was having enough fast capabilities and social capabilities. It is extremely important that our storage enable us to render and integrate on-premise systems with cloud services. Cloud integration is also very important for us in our selection of a future on-premise storage system. We use AWS cloud service. Lo usamos para la seguridad en la navegaci√≥n y la administraci√≥n de fuentes de datos alternativas con el fin de mantener activos todos los procesos. Nos permite sincronizar los m√©todos de sincronizaci√≥n, basados ‚Äã‚Äãen la plataforma B2B, para agregarlos correctamente a las listas de correo electr√≥nico del cliente. Nos proporciona calidad y seguridad al mismo tiempo, utilizando estrategias tecnol√≥gicas avanzadas. Los resultados son sorprendentes en t√©rminos de funcionalidad y defensa contra terceros. La caracter√≠stica m√°s valiosa se define por la seguridad en la que se muestran los datos y las acciones rec√≠procas para establecer los criterios de b√∫squeda. Su funcionalidad y soporte t√©cnico son adecuados para ayudar a prevenir fallas debido a errores. Funciona muy bien con datos externos cargados en la nube desde otras plataformas. La integraci√≥n ha sido exitosa y segura. El producto mantiene un enfoque arraigado en los procesos no alternativos. Esto logra dificultad en la conexi√≥n de la vulnerabilidad en los procesos. Me gustar√≠a verlos mejorar la perspectiva de inicio y b√∫squeda en los paneles. Esto permitir√≠a una mejor visualizaci√≥n de los contenidos que se capturan en la herramienta. Actualmente, no tenemos ning√∫n problema al enfatizar la herramienta. Confiamos plenamente en la estructura de seguridad que gestiona esta plataforma multifuncional. Lo usamos en toda la empresa. El trato con el vendedor era aceptable; El precio es razonable. Los recursos adquiridos con esta herramienta valen el costo. The primary use case for ONTAP is both on-premise and in the cloud. For on-premise, we utilize it for hosting our virtual infrastructure environment through VMware, as well as hosting personal and shared drives. Then, in the cloud, we also host personal and shared drives within AWS and Azure. An example of how ONTAP is improving our organization is through back-up and restore, as well as offsite replication capability. We utilize SnapMirror very heavily on our sites and then also to replicate it offsite to other sites in our organization to make sure that we have very fast local restores if necessary. As well as offsite replication for disaster recovery capabilities as we have certain events that impact our facilities from that perspective. We use ONTAP for a number of mission-critical applications. Some that specifically run some of our facilities. I'm in the energy industry and we had a certain scenario earlier this year that one of our systems went down and after a few hours I had to start having the conversation with some of the other supervisors if we couldn't get the system back online. However, NetApp support was able to get the system back online with us without having to do an RMA for another device. Support really helped bail us out in that situation of getting the system back online and not having to shut our facility down. ONTAP has allowed us to keep cost down in the storage environment based upon the deduplication and how we're utilizing it to replicate from a number of different sites and centralize some of our offsite replication capabilities. Some of the most valuable features of ONTAP for us are the reliability and availability. We have a lot of built-in functionality within ONTAP to provide back-ups and restore at the volume level. Also, individually if we need to restore specific files within a volume. It's been very helpful us to have that. Within ONTAP, some of the new features that we've been utilizing recently are the FabricPools which we think is great. One of the new services is the cloud volume service that's available within AWS and Azure that we're really liking. We use ONTAP in the public cloud for Linux NFS mounts, as well as Windows CIFS volume shares. A lot of times multiple applications or systems will need to share that data and NetApp ONTAP in the cloud really allows for all those applications to utilize shared data in their application communication. NetApp ONTAP, easily, in our environment, allows for a 3:1 compression ration on average. That's really helped, whether it be on-premise or in the cloud, to help drive down cost utilization in our systems. There's a number of systems that we have that run pretty high utilization. That data reduction helps us prevent from having to continue to expand those systems. The key feature, that we'd like to see in that is the ability to sync between regions within the AWS and Azure regions. We could use the cloud sync service, but we'd really like that native functionality within the cloud volume service. ONTAP has been very stable for us, specifically in the cloud environment. It allows us to have high availability as well as standalone systems if that's what we want within our specific workloads. Also, on-premise has been a very stable environment. We have very few outages and when we do, we work with support to get systems back online in a timely manner. I would rate ONTAP as an eight. It has a lot of great features, some features that we didn't even know we needed until we talked with our account team and they walked us through some of the reasons for some of those features and then we look at implementing them. The stability of the environment really helps us have that as a key solution for our organization. We use it for the data that we are using, etc. We have a dedicated team of 10 people who manage the storage. For the daily activities, we needed the faster storage, faster throughpt, etc. That is why we started using SSDs in certain areas which made the application faster. The support is its most valuable feature. They provide on-call support and responds to issues in a timely fashion It also offers disaster recovery. AWS has come into the picture, so we want to move into AWS. Therefore, we don't want to do anything more on on-premise anymore. NetApp has to come up with a cloud version. I would like to have more management tools. They are difficult to work with, so I would like them to be a bit more user-friendly. On a scale of one to ten, I would rate the stability a ten. The scalability is very good. Our environment is about 20TB. I would rate the support as a nine out of ten. NetApp is native here in Bay Area. We are also in the Bay Area. If anything happens, they will come onsite and fix it. There are some limitation with the integration and configuration. Though, Cluster Mode is more relatable than 7-Mode. We purchased the product directly from NetApp. We evaluated Hitachi and IBM, but still we are using NetApp because of its marketing. We use it for file storage. It is mainly being used with our Windows environment. * Ease of file storage. The data tiering needs improvement. E.g., moving hard data to faster disks. It is pretty stable. We do not put too much stress on it (about 45 percent). The scalability is very good. Our environment is 25TBs. I have not used NetApp's technical support. Purchasing through the AWS Marketplace was good, but it was a test system, not a real purchase. We went through the AWS Marketplace because we were testing the product and have not evaluated the pricing yet. I would recommend NetApp because it is a stable product. The AWS and on-premise versions of the product are about the same. The primary use case of NetApp in our company is providing NAS services. This includes both CIFS and NFS. I have been working with ONTAP for five years. So, I started with NetApp ONTAP 7-Mode, and now, I'm working on NetApp ONTAP C-mode. My familiarity and skill with this product is quite good. Autodesk has been using this product for more than five years. The most valuable feature of Data ONTAP is it's very user-friendly, It gives the administrator or engineer a lot of scope to look into the locks. It has a fair amount of visibility into what is happening. We do not have to depend on the support all the time. If you have a fair amount of experience with NetApp, you can work on it very easily. NetApp could certainly improve on the support side. They do not need to improve so much on the product side for now, because we have procured a high end system. Stability is quite good. However, when it comes to bugs, this is where we are taking a hit. We have ended up in situation where new releases of the ONTAP create an issue in our current infrastructure. We either need to go back or find a solution to fix the bug created by the bug. This is the issue that we face now. We are not putting a lot of stress on our environment, about a five out of ten. The scalability of NetApp is good. In NetApp, we have close to three petabytes of data. We cannot compare the scalability of the on-premise solution with the cloud solution because cloud works in a different way from the on-premise version. When it comes to the logical partitions, the scalability is fine. Though, after a set time limit, you need to procure physical boxes to increase your storage capacity. I would rate the technical support as a five out of ten. When it comes to support provided by NetApp, they have room for improvement. Every time we go through their support, we end up answering the same routine questions. We don't reach out to support without doing our initial troubleshooting. After, our initial troubleshooting, we find something, then we reach out for support. Once we reach out to support, support takes us back to the same basic level of troubleshooting, which takes away some time in urgent cases. This is where NetApp support should create an improvement plan. We did not consider anyone else for NAS. NetApp is a user-friendly solution. I would recommend it to colleagues, because of its user-friendliness for implementation and running your operations. I use the on-premise version of this product. ONTAP Cloud allows me to easily replicate data from my On-Site Netapp to the cloud. In the cloud it allows me to store more, on less. Using Deduplicaiton I need less back end storage, so I can have more "data" stored than disk space presented. I was even able to migrate volumes from an older 7-mode system into AWS this way.